Third grade students are studying people who have made a difference in the world. 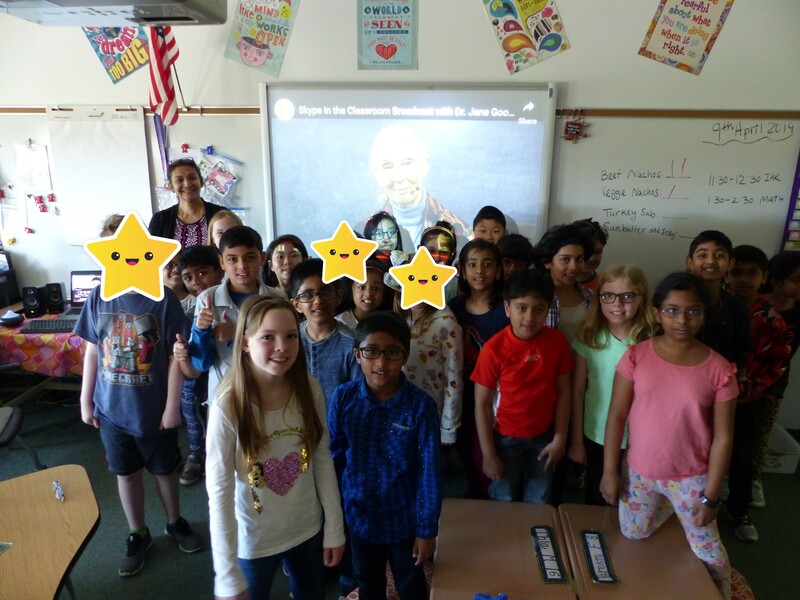 In addition to reading a biography and working on a biography project, last week third grade students watched Jane Goodall talk about her life and how students can make a difference in the world. 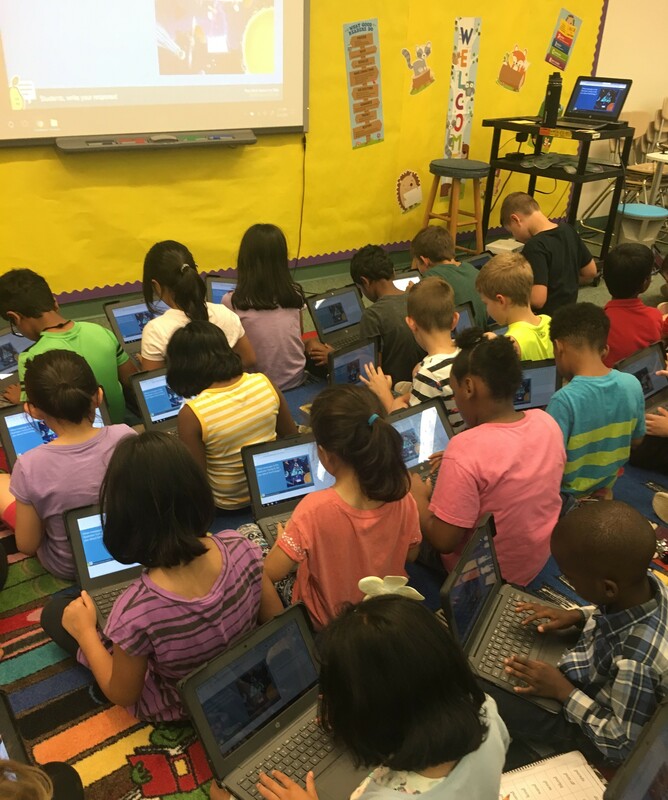 Classes were also able to tweet a question to the famous scientist. At the end of the presentation, 3V students took a selfie with Ms. Goodall.